Heat a large skillet over medium high heat and add Tbs of olive oil. Add the chicken and salt and pepper. In the skillet whisk together brown sugar, soy sauce, hoisin sauce, sweet chili sauce, ginger, red pepper flakes, garlic and lime juice. Add chicken back to the sauce and coat each side with the sauce..Heat again for seconds, watching closely to prevent boiling. Place chicken breasts in a shallow dish. Pour soy sauce mixture over, and set aside to marinate .Directions. Mix together brown sugar, honey, soy sauce, ginger, garlic and hot sauce in a small bowl. Lightly salt and pepper the chicken strips. Heat oil in a large skillet over medium heat. Add chicken strips and brown on both sides, about minute per side. 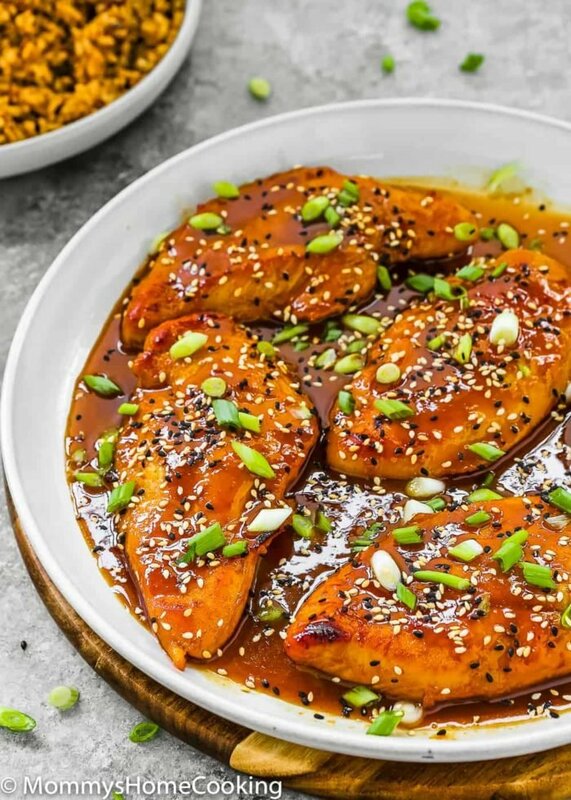 Pour the sauce over the chicken..Looking for Asian style chicken breast recipes? Allrecipes has more than trusted Asian style chicken breast recipes complete with ratings, reviews and .